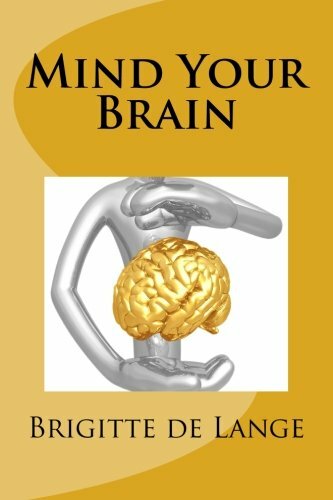 One of my first brain research projects involved the effects of brain training. I started my research based on the hypothesis that mental training would be the ultimate tool to keep the brain healthy and stave off age-related diseases like dementia. It seemed like the egg of Columbus. But the more my research advanced, the less unambiguous the information became. 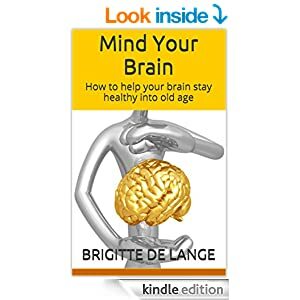 Yes, it is good to activate your brain, especially in elderly who sometimes just doze away literally and figuratively. Yes, the brain does show plasticity in adapting networks and connections with use. But is doing brain games on the computer really helping your brain to stay healthy and improve memory? The answer is ‘no’, not just like that. I had to conclude mental training is an added value. It is important, but not indispensable. It may be third on the list after the right kind of nutrition. The only real thing is physical activity. Working out your body has a huge protective effect on your brain. But if you move enough and eat right, doing some kind of brain training will certainly help your brain age healthily. The brain is a flexible organ designed to improve with use. Due to the slow course of ageing in humans, the nervous system can compensate and maintain an adequate function even in centenarians. Armed with this insight, more and more computer games and programs are spilled onto the market directed at training the brain. Quite a lot of companies try to get a piece of the cake, capitalising on the growing attention for and fear of dementia. The sales pitches are promising. Those who give way to the brain games will be awarded with a better memory, enhanced creativity, more efficient and faster data processing in the brain, faster reflexes, enhanced concentration, and improved multi-tasking, in short, will develop a more clever brain. Devoting ten minutes a day to such a brain game is all that is necessary to end up with a fitter brain, claim the ads. The effects of computer games on the brain can be measured in different ways. The most trustworthy scientific investigations consist of a brain scan of the participants before and after the brain training to see what kind of differences it has produced. Such an investigation requires a lot of money. That’s why most researchers use tests. The participants in a study take a test before and after the brain training. If the tests results are better the second time, the training was a success. So far, studies of the effect of brain training haven’t come up with unambiguous results. From most studies, the conclusion can be drawn participants are getting better at the tasks that have been trained via the computer game, but didn’t show improvement on tests measuring general cognitive abilities. Neurobics, as brain training sometimes is called, does not boost mental skills in general. You don’t end up with a more clever and fit brain. Education in itself seems to be beneficial for your brain. More years of education appear to be linked to less age-related cognitive decline. This property has been labelled cognitive reserve. A higher reserve may mean established networks in the brain are more efficient, have a greater capacity, and are less susceptible to disruption. It also allows the brain to compensate through alternative networks in the presence of declines by ageing or disease. A comment is certainly in order as far as this theory about education and cognitive reserve is concerned. Studies have shown a role of education in age-related cognitive decline in the western world. In other parts of the world though, this link has not been confirmed. India and West-Africa for instance have the lowest prevalence rates of Alzheimer disease among the elderly despite a lack of formal schooling or literacy training. Apart from cognitive reserve, other factors, such as cultural, racial, and economic influences, surely also play a role in cognitive decline. It is a fact that as we age, we hardly do any intensive learning anymore. In middle age, most people are replaying skills mastered a long time ago. This means that in old age the systems that keep the brain flexible and are involved in setting up new networks may have not been engaged for over forty years. Therefore it is so important to keep an open mind and be susceptible to new influences. To learn something new or do something that requires your full attention will keep your brain flexible. The influence of mental activity on the brain has to do with neurogenesis, the birth of new neurones. In rats, it has been shown novel environments trigger neurogenesis. They get more new neurones when they live in cages with interesting toys. To be able to explore this fascinating, new environment the rats need to use their brains intensively. They need new neurones to be able to get to know the new things and find new routes and to store this information The brains of rats living in the same, dull environment all the time don’t need neurogenesis. Everything is known and the animal can function with the knowledge it has stored in existing neurones. This way, the rats in the laboratory raised in enriched environments learn better and have a better memory than their colleagues in the empty cages. Thanks to the extra neurones, their brain weight is about 5 percent higher in the cerebral cortex as a whole and 9 percent higher in the stimulated areas, such as the hippocampus. In humans, the birth of new brain cells and the effect mental activity has on them have also been studied. Preliminary results show mental exercise may increase the rate at which new brain cells survive and make functional connections into existing neural networks. Of course plenty of activities exist to keep an active mind, like reading an interesting book or learning another language. You could solve puzzles for instance, but don’t let it be the same old crossword puzzle all the time. Change to a Sudoku or a jigsaw puzzle every now and then. If you like computer games, agility games are another possibility. In your scores, you will notice an improvement while playing, which means you are training that part of your brain that is activated for playing this particular game. Another type of game will activate neurones and stimulate new connections in another part of your brain. To socialise with other people also plays a role in preventing cognitive decline. What’s more, social isolation can bring about mental decline. Various studies among many thousands of elderly have shown social involvement and maintaining relationships with other people help protect mental. People simply do better if they get out of their houses and interact with others. Why that is so, is not clear yet. Maybe it is because associating socially constitutes a challenge and thus stimulates neural networks. When you live a socially active life you have to remember a lot of things of many different people through which you make use of your memory more frequently. Furthermore, your brain networks will be activated when you keep an open mind towards other people and try to understand other people’s ideas and opinions. Even in your daily routine you can keep on stimulating your brain. Routine is a good thing. It brings rest and regularity into daily activities and offers grip especially in old age. But too many fixed habits are bad. The brain switches to the automatic pilot and becomes ‘lazy’. On a small scale, you can make changes in your daily activities. Take a look at your dressing routine for example. To put your first sock on your left foot and then the other one on your right foot can also be done the other way around. To do it differently you have to do it consciously. And that is good for the brain! More difficult and thus more effective is using a different hand than usual. If you always pick up things with your right hand try to do it with your left hand next time. To write with a different hand from the one you are used to, is very hard, but even trying to write with your other hand once in a while can create new connections. Your fixed routine of fitness exercises or the fixed walk with the dog can also be done in a different sequence. Everybody has this kind of fixed habits that could be done a little different. It is important over time to stay focused on your habits to not let the new sequence become the next routine. In short, it is extremely important to keep an open mind for ‘new’ in all kinds of areas, even though this is hard since most people become more rigid when they get older.